Impact-A Glass & Window Cleaner is designed to cut through heavy soiling and residue quickly and easily, leaving a streak free finish. Impact-A Glass & Window Cleaner can be used internally and externally to clean windows or glass surfaces in domestic or commercial applications. Has excellent wetting and soil-cutting qualities, which result in a streak free sparkling finish. Contains no abrasives and is environmentally friendly, making it perfect for use around the home or in commercial use. 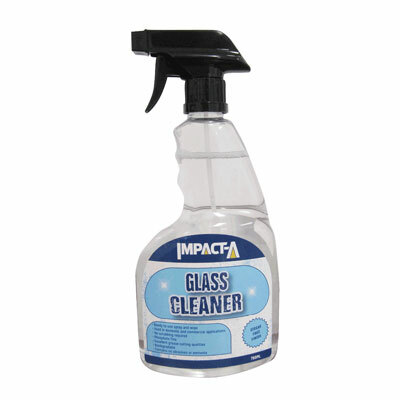 To buy IMPACT-A Glass Cleaner 750ml, please use the Store Locator below.